Breaking your iPhone has got be be the worst feeling in the world, especially if you don't have insurance on it. 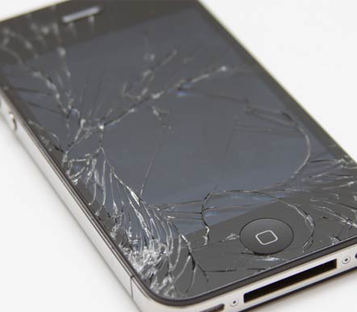 Have no worries we can fix your iPhone broken screen in about an hour and for less that it would have costed you for your insurance deductible. We use all OEM parts that are A+ quality and offer a full no hassle 90 day warranty on all repairs. You don't pay for the new screen until all work is complete and you are 100% happy with our service. All repairs are not equal and some shops in the area use poor quality parts, some even use plastic screens. We use authentic gorilla glass just like what was used by apple when your iPhone was manufactured. Many people in Wake Forest have used our service for replacing the screen on their broken iPhones and have loved our service. Take a moment to Google "Xpert Computer Service & Repair Reviews" and they will speak for themselves. 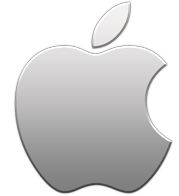 You will see that we are the top rated computer and iPhone repair shop in the area. Rest assured that care and precision will be taken when we are fixing your iPhone. We are conveniently located at 3325 Rogers Rd #116 in Wake Forest (In the Real McCoys Shopping Center) (please click here for a map and directions). 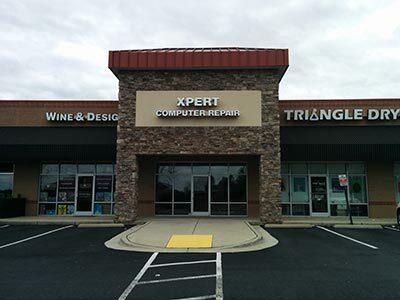 Xpert Computer Service & Repair was founded in 2006 to bring quality and affordable computer repair to Wake Forest, Raleigh and the surrounding areas. Jonathan Habers and John Lanzer started the company with an understanding that people who need computer help are typically frustrated and need more than just getting their computer fixed; they need to regain confidence that their computer won't fail them again. We are committed to quality customer service because we realize that we're not just fixing any old computer problem, we're fixing YOUR computer problem. We help our customers with anything computer related, from virus removal, performing hardware upgrades or just speeding up a slow computer. For our full list of services please visit our website: Computer Repair - Wake Forest, NC.